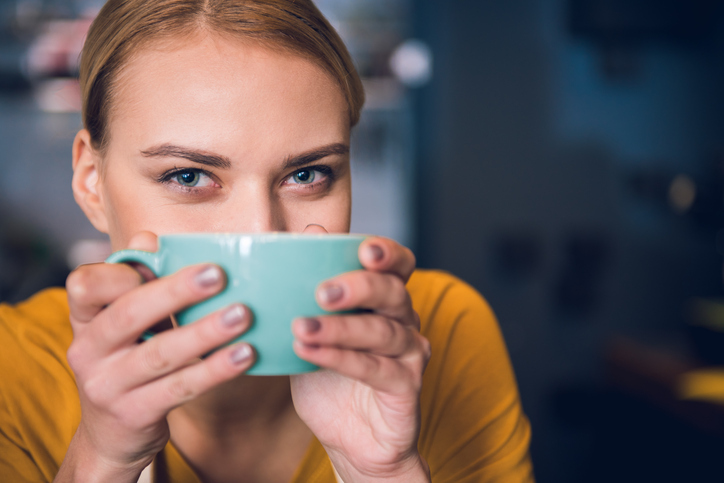 If you enjoy sipping on a cup of hot tea on a cold winter’s night or savor the sip of a white wine on a hot summer’s day, your dentist in Oregon City may have some bad news for you. A new study suggests that it’s not just what we eat and drink that increases our risk for tooth erosion, but how we eat and drink, as well. Researchers from King’s College London recently attempted to determine which types of foods and drinks have the most significant impact on promoting tooth erosion, and whether the way we consume these items have an additional effect. The results of the study were recently published in the British Dental Journal. Tooth erosion – also commonly referred to as acid erosion – occurs when acids breaks down tooth enamel, the hard substance that covers the delicate interior of our teeth. In time, this type of erosion increases the risk for tooth sensitivity, tooth discoloration, and even permanent tooth loss. One of the biggest contributing factors to the development of tooth erosion is the acids found in the foods and drinks we consume on a daily basis. Among the biggest offenders of erosion are sodas, sport drinks, and fruit juices. Despite most diets containing some amount of erosion causing foods and drinks, researchers involved in the study noted previous findings which showed that some people simply do not suffer from tooth erosion, regardless of what they consume. This fact then asks the question: does how we consume acidic foods and drinks impact our risk for dental erosion? To answer this question, researchers examined data collected as part of a previous study, which involved over 600 adult participants. Of those involved in the initial study, 300 suffered from severe tooth erosion, while the other half did not. In the study, participants were asked to report the frequency, timing, and duration of dietary acid consumption. Participants were also asked to describe their drinking habits prior to swallowing an acidic beverage – for example, do they usually swish white wine around in their mouth before swallowing. Researchers also examined data collected from other studies to determine which foods and drinks contribute the most to erosion. Unsurprisingly, researchers discovered that acidic foods and drinks represented the greatest risk for tooth erosion. Researchers discovered that the risk of moderate to severe erosion was 11 times higher for adults who consumed acidic beverages at least twice day, especially when these types of beverages were consumed between meals, when compared to those who did not consume such drinks regularly. The team did note that when acidic beverages were consumed as part of a larger meal, such as lunch or dinner, the risk for tooth erosion was cut in half. Overall, the study found that consuming one or fewer acidic beverages a day had no impact on tooth erosion rates. This correlation led researchers to recommend that anyone who consumes more than one of these types of a beverages a day only do so when a part of a larger meal. When consumed regularly, even fruit-flavored teas, candies, and medication may pose an increased risk for tooth erosion, reported the research team. In fact, even pickled foods and vinegars could pose a risk. Perhaps most surprising, however, was that sugar-free soda was discovered to be just as erosive to tooth enamel as its sugary counterpart, and that hot drinks were found to cause more erosion than cold drinks. One of the most significant discoveries in the study was that it’s not just the type of foods and drinks we consume, but how we consume them that impacts our risk for erosion. The study found that the risk for tooth erosion increased when participants sipped their beverages, as well as when they swish, hold, or rinse before swallowing. While the American Dental Association has long recommended against savoring or swishing any acidic beverage prior to swallowing, this advice is now firmly backed up by hard science. Researchers also noted that drinking milk or water when eating and rinsing the mouth after consuming acidic beverages may help to reduce the level of erosion that may occur. What your dentist in Oregon City hopes that patients take away from this study are twofold: One, that moderation always be the key to determine how much we consume of artificially sweetened beverages on a daily basis. Second, that these types of beverage should typically be consumed as part of a larger meal. By keeping these two points in mind, Dr. Johnson hopes all of his patients can enjoy a healthier, better looking smile for a lifetime. ← Is Your Oral Health Harming You?